We've reached that time of year when EVERYONE seems to be getting sick. Friends and family start feeling under the weather and it's only a matter of time before the illness reaches us too. 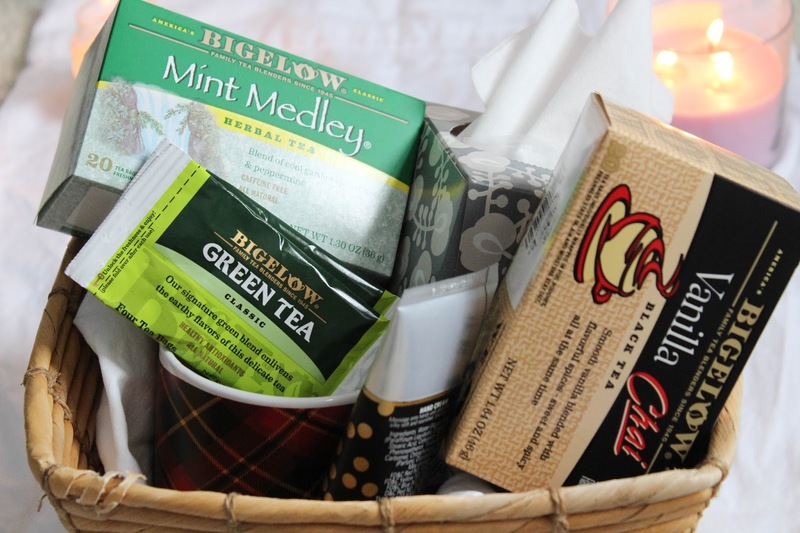 A great way to show your sick friends and family that you care is with a cute get well soon gift basket. Nothing lifts your spirits when you're sick like a cute handmade gift! The winter means dry, cracked hands that can be extremely uncomfortable. 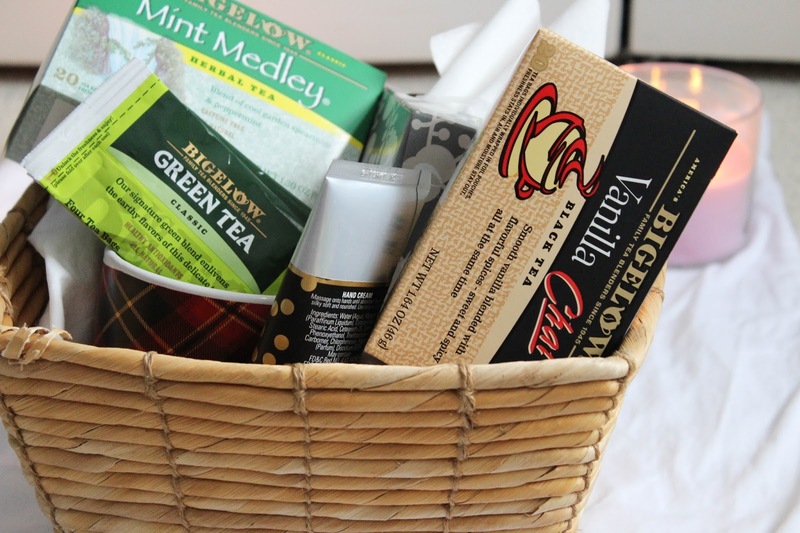 Add some of your favorite hand lotion in the get well soon basket so that your friends and family can have moisturized hands all winter long! 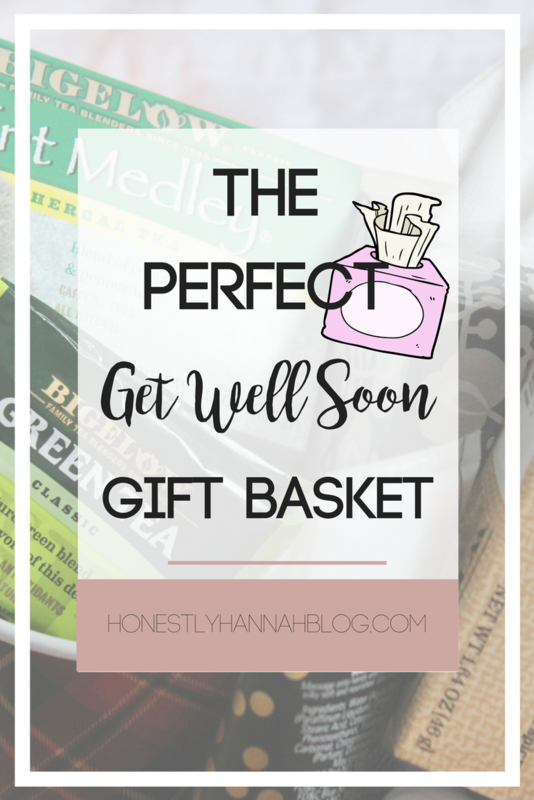 Obviously tissues are a MUST for a get well soon gift basket. 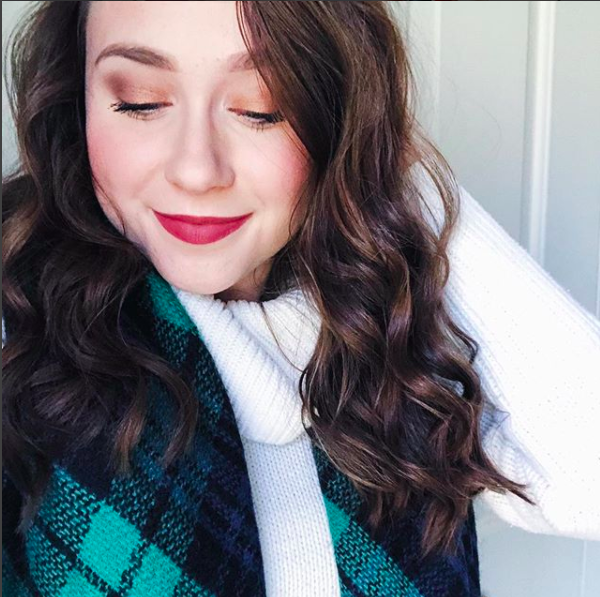 The awful cold/flu that seems to be hitting isn't fun. 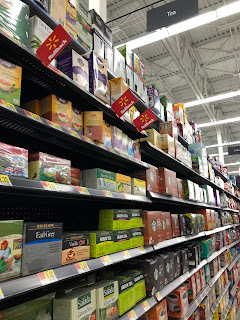 Your friends and family have likely gone through a few boxes of tissues, so throw in a box to save them a trip to the store. Hot beverages are truly a lifesaver when you're sick. The feeling of a warm cup of tea is so comforting and a great way to feel cozy while you're recovering from illness. Interested in purchasing some delicious Bigelow Tea? Hover over the above image and click through to Walmart.com to buy your own! Tea is a necessity when you're sick. 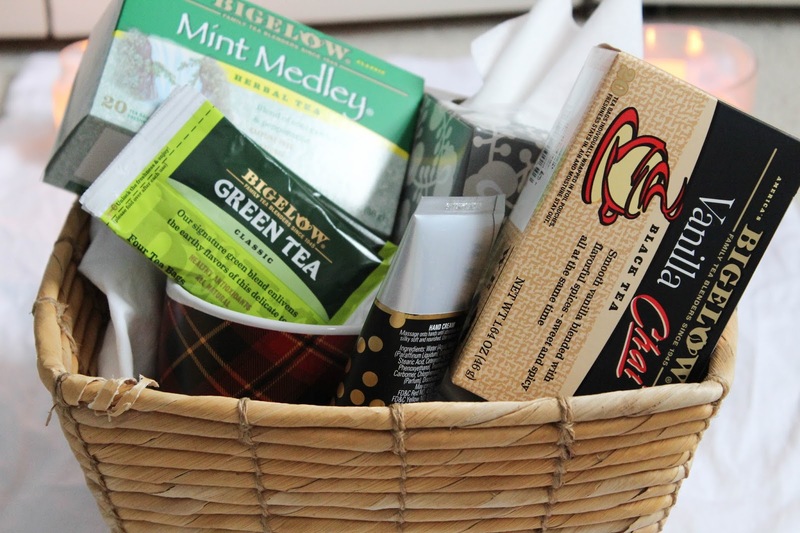 I love Bigelow Tea all year round, but especially when I'm feeling under the weather. 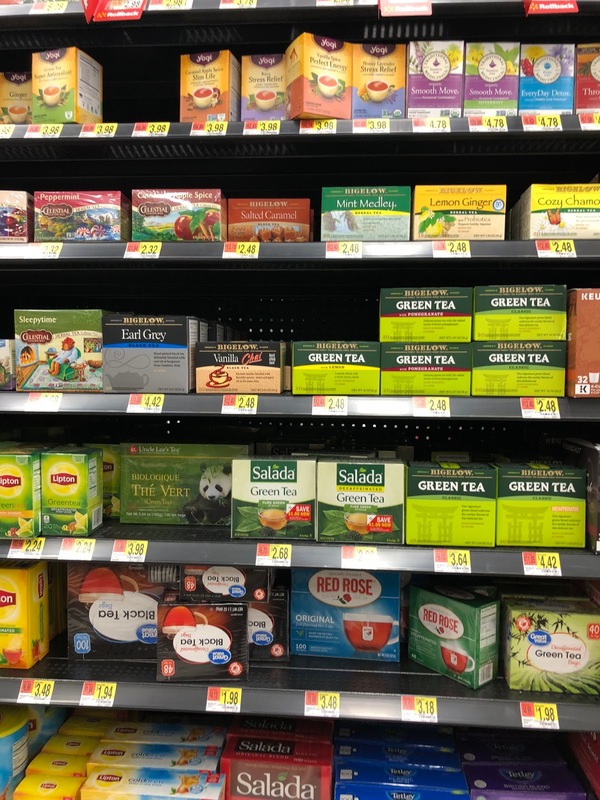 In January, Bigelow Tea is celebrating "Hot Tea Month," so it is clearly the perfect time to pick up a few new tasty teas to try out! There's nothing like a warm cup of tea to make you feel comfy and cozy on a sick day. I love giving my friends and family tea when they're sick because it always helps me so much when I'm feeling ill. I'm currently loving the Mint Medley, Green Tea, and Vanilla Chai flavors. I always keep these on hand, and I always pick up some extras in case someone I know gets sick. I purchased mine at Walmart in the coffee/tea isle. They have so many flavors available and I love trying out new ones! The basket is so simple! All you really need is a basket (or even a shoe box!) to stuff with all the goodies. I also like to put either a soft scarf of pillowcase in the bottom to lay all the items on top of. 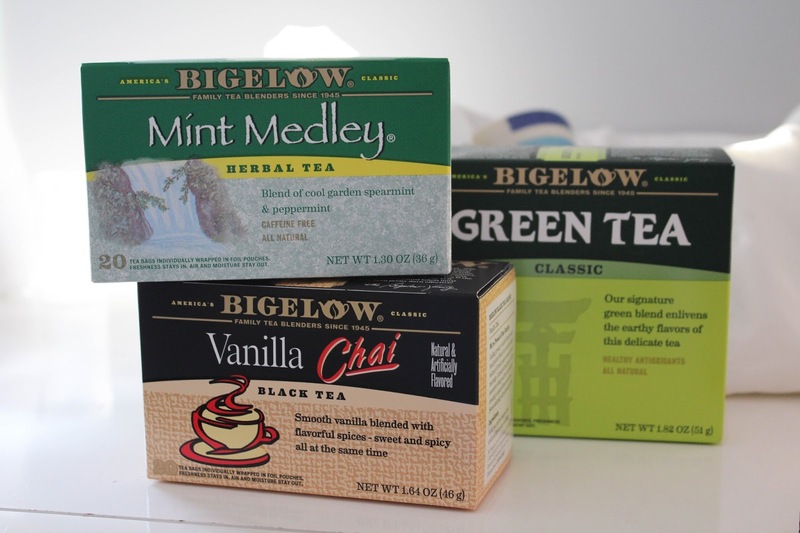 Make sure to check out Bigelow Tea online as well as their #TeaProudly site. You can also check them out on Facebook, Twitter, and Instagram. Have you been sick yet this season? What are your favorite comforting items when you're sick? Tea tea tea, yum! Green tea with jasmine from Bigelow is my favorite!! Ohhh need to try that! I'm totally obsessed with their green tea so I'm sure I would love that one!